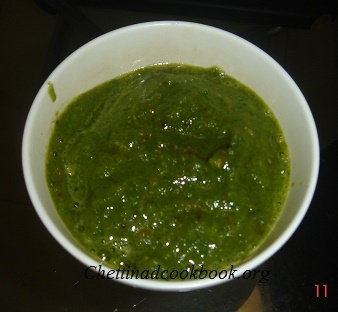 This recipe is simply 2 steps to follow and 2 minutes,as noodles,but this is really good for health and yummy too.When the dishes or done with proper concentration and perfect procedure,followed with correct measurement,no doubt it will vanish off by praising your effort,mainly side dishes.In such case we can make this type of fast chutney to manage situation in less time. Step-1: Wash and clean Coriander,add all the above ingredients together grind to smooth paste. Note:I have not added coconut it is your choice. Step-2: Season it with one teaspoon of oil,mustard seeds and urad dal,if preferred to reduce raw smell of onion.